There is nothing quite like a sequel of such an epic movie. The first Avengers movie signified what Marvel can do in term of pushing the boundary in film making. The dream movie of the Marvel fans now recieve its second installment, and the marketing and hype was as high as the last one. The old cast is there, with an addition of Elizabeth Olsen, Aaron Taylor Johnson and James Spader of The Blacklist to the cast. This is like the dream team of an ensemble. You have the all-stars cast of the old avengers, mixing with a powerful young, and talented casting of Elizabeth Olsen and Aaron; and finally, the TV heavyweights, Mr. James Spader. Alongside, are the returning supporting actors: Anthony Mackie, Don Cheadle, Samuel Jackson, Maria Hill, and Paul Bettany. This cast alone is such a pull for movie goers, and having all of these talents in one building is a feat of achievement. It is an Avengers movie, so the hype is beyond phenomenal, the trailer look awesome, and it will be a CGI feast for the movie goers. I will watch this movie in IMAX, and the biggest TV I can find in my house. Let’s hope they live up to the hype. To begin with, this movie is amazingly done. The action is fast paced, the plot is well written, the sound affect and the CGI give a truly amazing experience in IMAX. Although, the movie is a little bit drawn out than the first one, audience will not complain as there are action at every turn. Perhaps, the strongest aspect of this movie is how its bring the story of Ultron Destroying the world to life. I can confidently say this is one of the best action movie I have ever seen in my life, and I watched plenty. 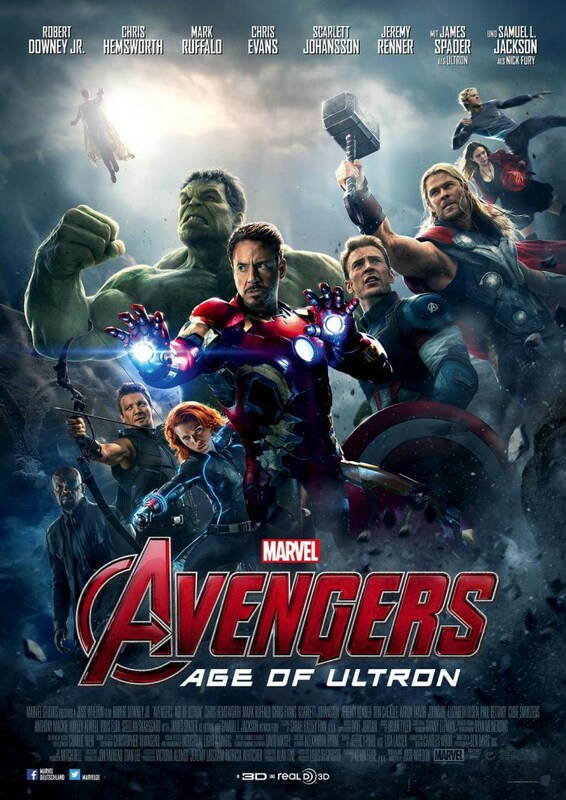 As expected this movie is a CGI feast, the Ultron effect is so well done, it feels like they hire a robot to act this part out, but it was James Spader behind the mic, and a guy in a spandex suit talking to the Avengers, so we are better off seeing the complete version :D. The acting is nothing significant to talk about, none of the actors try to bust out their Oscars/Golden Globe face anyway. This cast had already bring the movie to life, and bringing them back serve no backlash. Rarely, do you see a casting crew of a superhero without some negative response from the fans and the public. Although, Mark Ruffalo was did receive some punches for the first movie, but he proven his place, and it is great to see him back. Despite that, Elizabeth Olsen and Aaron Taylor Johnson does have a bit of a rocky Russian/Serbian accents when speaking, but well done nonetheless. You cannot really talk about the avengers without talking about the action ensue throughout the story. The movie bring more action than the first Avengers while keeping the story as riveting. Tony Starks create troubles with his own invention again, surprise, surprise. 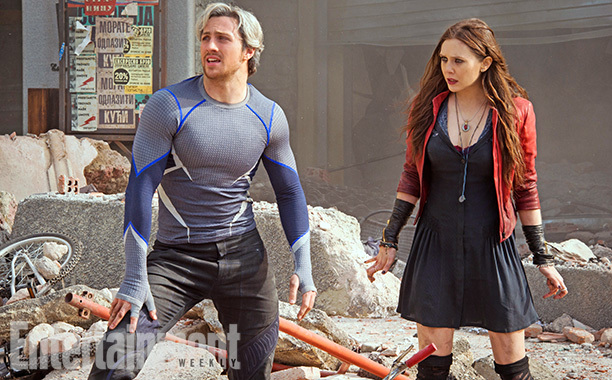 And the Avengers is set out to stop it with their new found friends Quicksilver and Scarlett Witch. Both try to stop the Avengers first though. Throughout the movie, I cannot help but to cheer and hype about what about to happen next, this franchise is very good at making the audience laugh and excite. The IMAX that I watched on deliver this experience further with the surrounds sound and the ginormous screen. However, the story is a little bit cliche, but I am not complaining, I am watch the movie on IMAX for the explosion, the gun shooting, and close-upped Robert Downey Jr face. The scene that I love the most, is the encounter with the Ultron army at the near end of the movie, where Ultron lift the whole town up (yes a whole town with living people) to disengage the Avengers. The battle last very long and there were constant action and battle going on. All of the Avengers skill are used and push to the limits. Thus, that deliver an astonishing experience to watch. 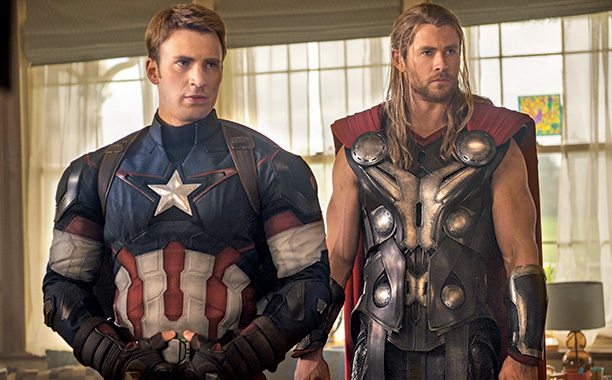 You cannot help but feel hopeless for the Avengers yet cheer them on to defeat Ultron. The second segment I really like is the introduction of the Vision. Being a follower of the Avengers story, the character is an important symbol for the later movie. Finally, I love the scene where all try to lift Thors’ hammer. It was hilarious and a relaxing scene leading to a long and daunting battles ahead. Overall, I just love it, everything is perfect and in its place, but the movie is a little bit cliche, which I am not complaining.